Actionable Data to Increase Yield NOW! No matter what you call it, Yield Season, Crunch Time or The Finish Line, it’s NOW. Take a deep breath and keep on reading. We have new actionable information that will guide you toward greater success in the days and weeks ahead. Our new research reveals that a student’s college selection is tied closely to the strength of the relationship they build with a college over time. Contributing to the overall relationship are interactions a prospective student has with current students, professors, admission counselors, and even people in points across campus and beyond that are unknown to the admission office. The more than 12,000 college-bound students nationwide who participated in our most recent co-sponsored study, The Relationship Dynamic, offer insights on what will, and will not, lead them to selecting your college. Study results will be released next month but we are sharing some key findings with you today. When is the bond with a college sealed? 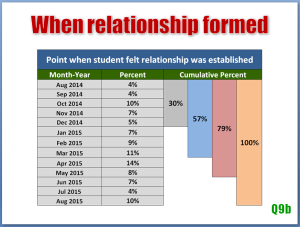 Over 70% of students told us that the relationship they built with their college of choice had a major influence on their enrollment decision. 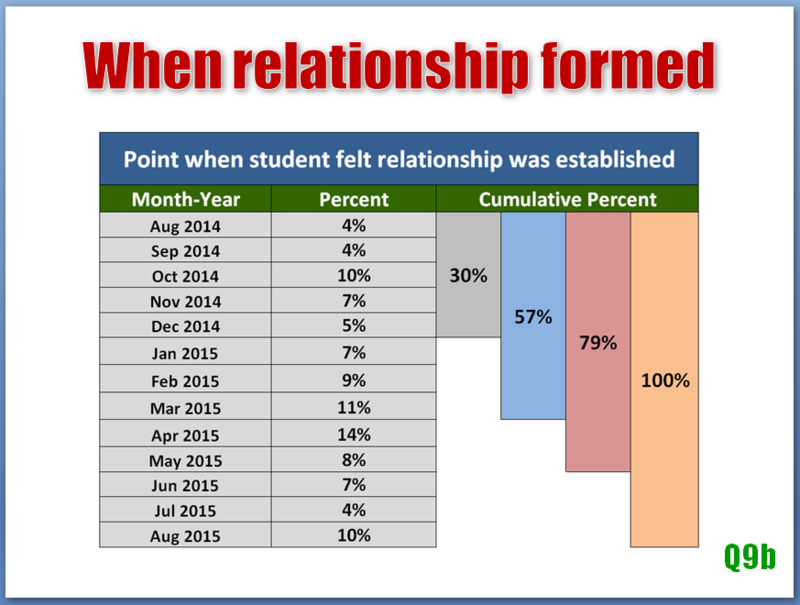 For the purpose of this study, we defined “relationship” as the student’s emotional connection to, affinity with, or excitement about attending. In the graph on the right, you will note that more prospective students identify April as the month they bonded with a college. In a previous study, The Excitement Factor, we asked students to tell us the month they made their final college selection decision. That chart looks exactly like the one on the right. 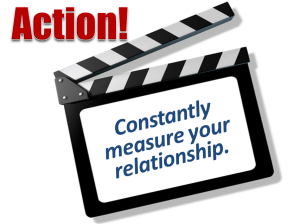 Their final decision is in perfect alignment with the realization of a relationship. Clearly, when a student feels their connection with a college, they are quick to claim it as their own. Another interesting thing about this chart: about 20% of students will develop a bond with their chosen college after May. 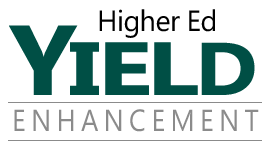 That suggests how much potential there is to connect with students and win their enrollment during the summer. It also suggests that the lack of a relationship may foreshadow melt. Yes, these are very direct questions. Counselors often hold themselves back from asking penetrating questions because they’re concerned that students will perceive them as being intrusive. That’s unfortunate. For both the counselor and the student. Admissions counselors who employ the direct approach tell us that they are often surprised by the depth of the answers they get when they specifically ask about a student’s level of excitement and the bonds they have with one or more colleges. Not only do they get a real-time assessment of what the student is feeling, but they frequently uncover the ONE THING that will turn an admitted prospect into an enrolled student. It’s simple, effective and a WIN-WIN for all. Now is the time to present your college’s value in a way that has meaning to the individual student you are addressing. If you have been creating a relationship with the prospective student, you already know a great deal about his or her specific interests, goals and personality traits. In truth, at this point in the cycle you may only be half way to understanding what is going to drive the student to select you. You still need to know how their feelings and emotions are going to influence their college selection. The only way to do that is by having a conversation in which you can ask questions that will reveal what is important to them emotionally. Try this: The next time you’re talking to a prospective student, ask this simple question, “On a 10-high scale, what’s your excitement level about coming to our school?” Give them permission to be honest by telling them that they won’t hurt your feelings. If you get an answer that’s anything less than a 10, follow up with the sincere and honest question, “What would get you to a 10?” Listen to what they say. Listen for how you can help them.